This summer at Cabana, kick back during their Saturday and Sunday sessions. 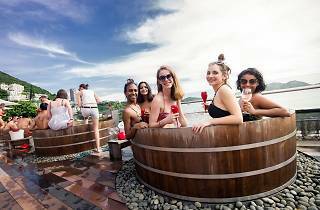 Think champagne (courtesy of GH Mumm), DJs, awesome views of Repulse Bay and all around good times. 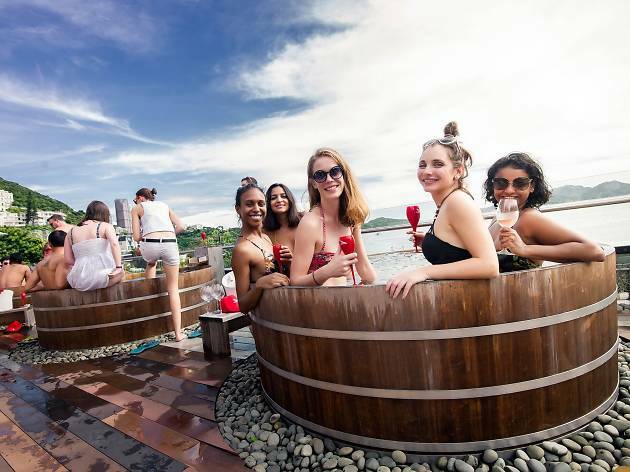 Cabana's 10,000 sq ft rooftop is home to Japanese baths, private cabanas and lounge beds - aka the perfect place to pop bottles and party! Entry is $580 per person including one bottle of Mumm Grand Cordon champagne.